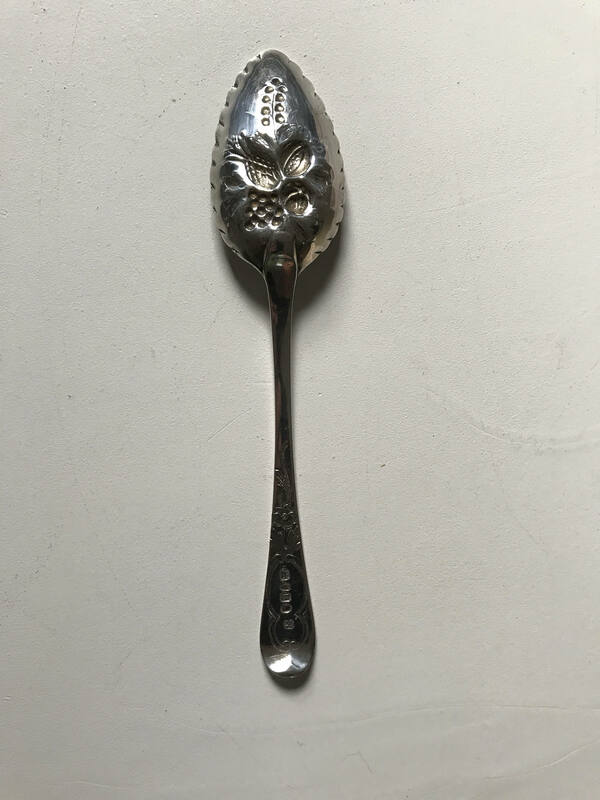 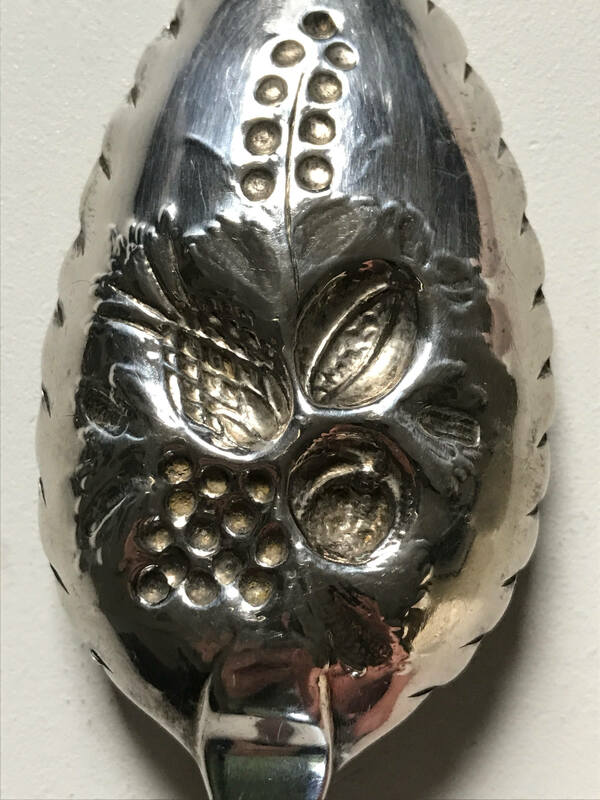 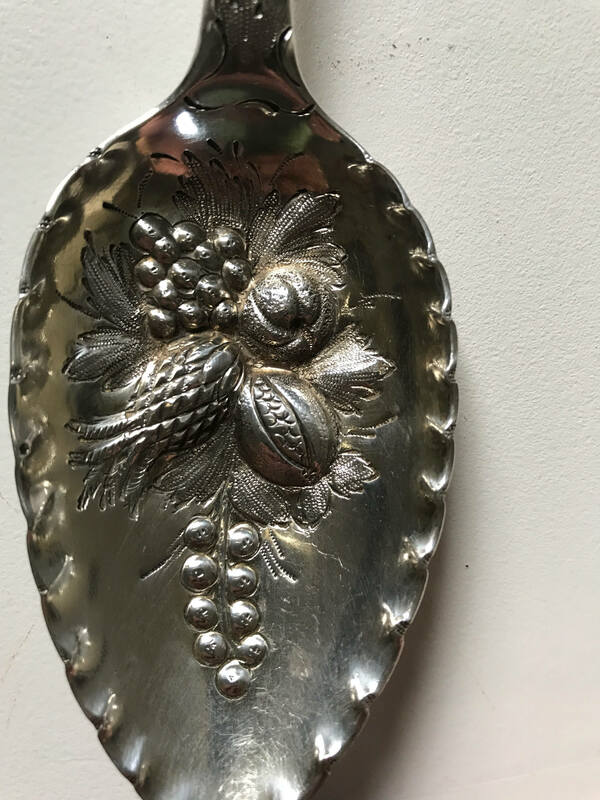 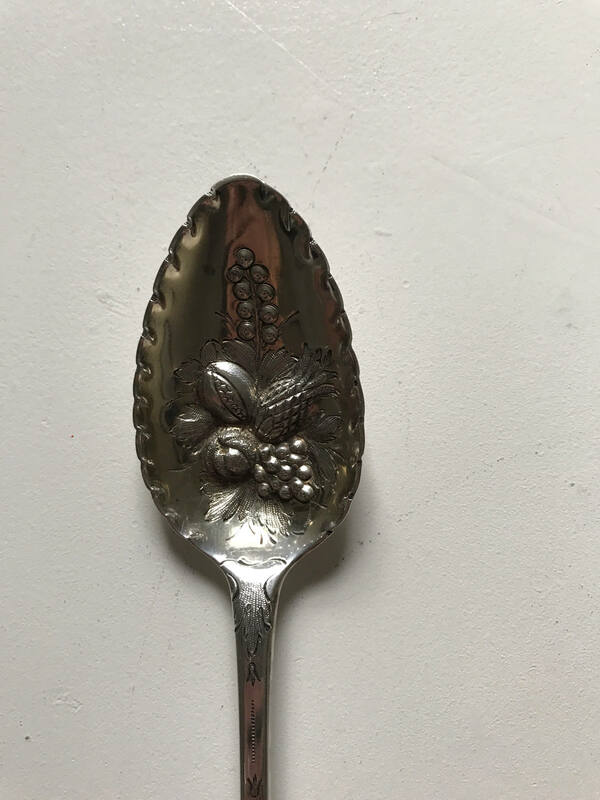 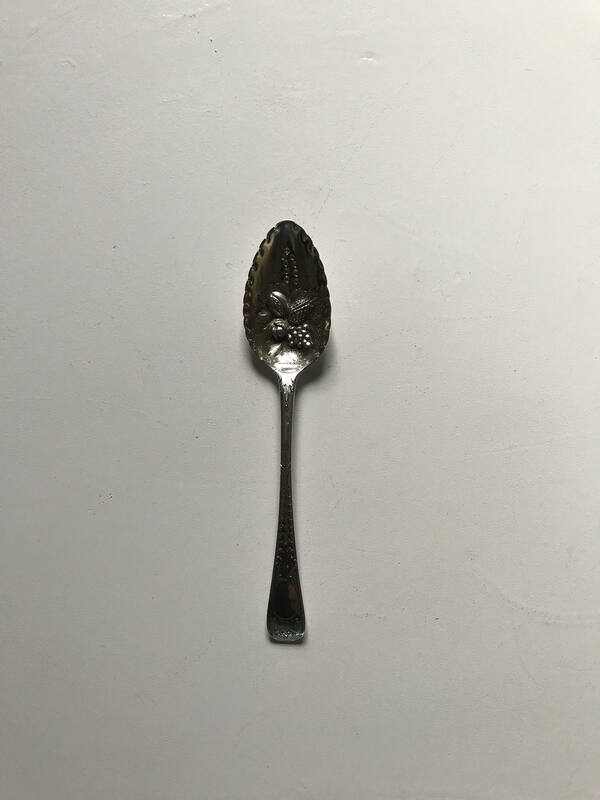 A stunning 1800 English sterling silver berry spoon. 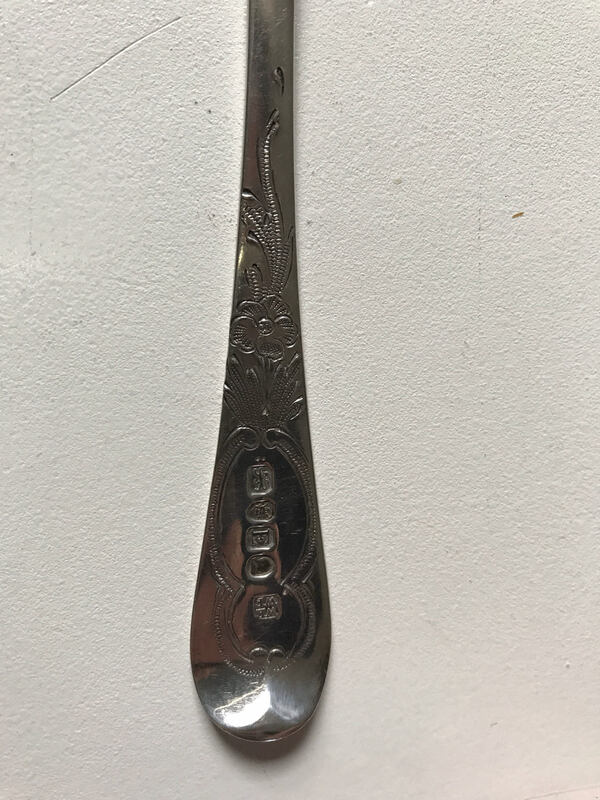 Large in stature and well built by William Eley and William Fearn of London of solid sterling silver. 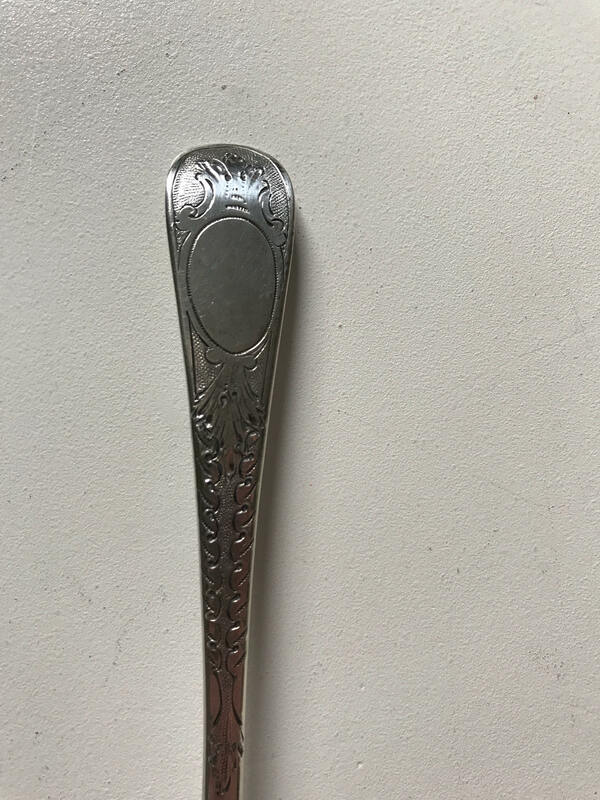 Handsomely chased front and back with meandering gadroon at the stem and handle terminating at an unmonogrammed cartouche. 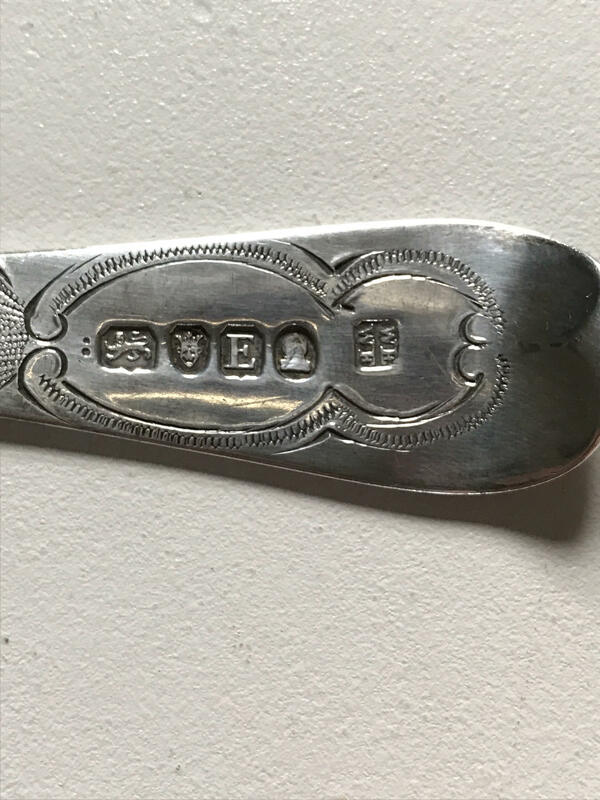 Clearly and distinctively marked with all the correct hallmarks for George III, sterling, London, and the maker marks. 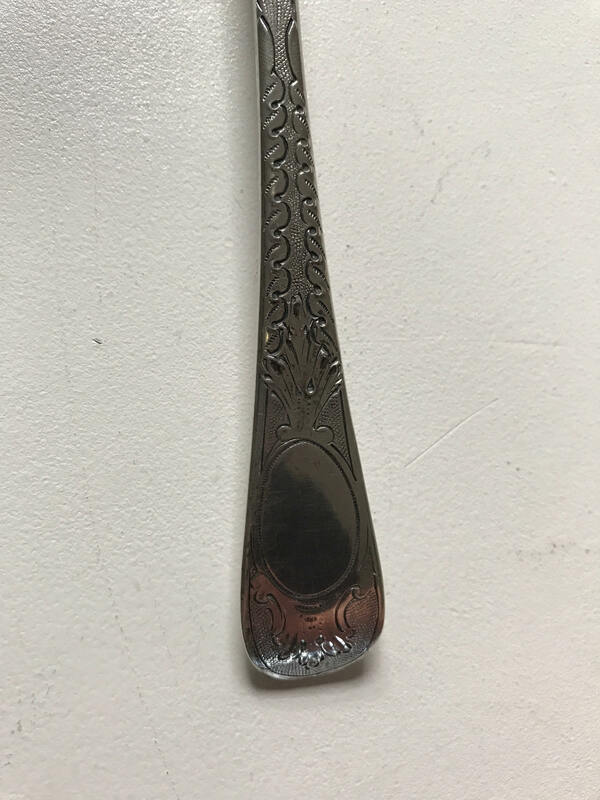 No damage and condition is outstanding.